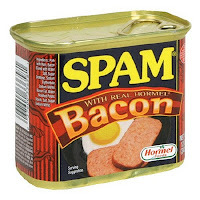 I've decided that Sunday will be Random Bacon Roundup day! 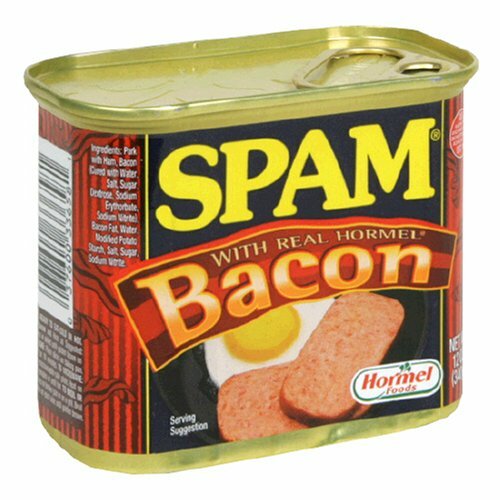 Here are this week's choices of weird and/or awesome bacon stuff from around those internets we all love so dearly. It's like having breakfast AFTER breakfast! 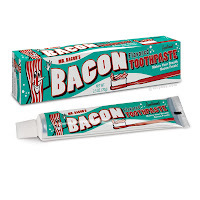 "It's the perfect way to keep your teeth and gums healthy while coating your mouth with the delicious flavor of smoky meat!" And it's a steal at $4.50! BACON CUFFLINKS by elementAg on Etsy! 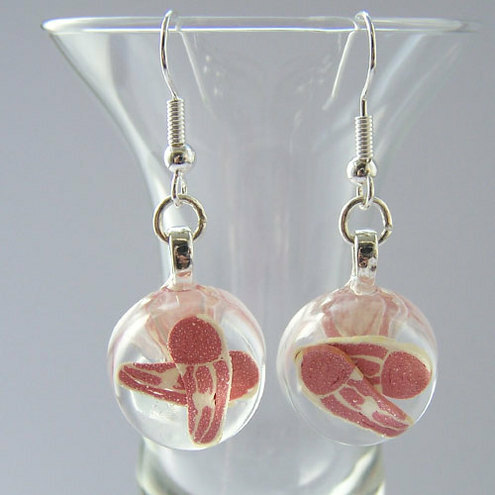 "Inspired by my 'foodie' brothers these copper strips of bacon are hand etched and inlaid with sterling silver to create 'fat veins'." Are they $225 awesome? You'll have judge that for yourself. 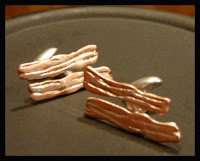 If you're not a cufflink wearing type, maybe you'd like some earrings instead? These resin drop earrings are going to be hard to pass up! 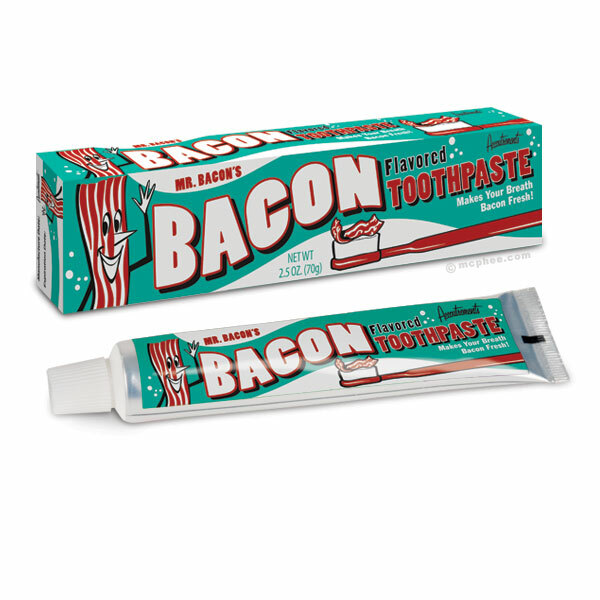 They'll cost you about $14.50 shipped to the U.S.
Are you following THE BACON SHOW? If not, you should! They have one bacon recipe per day, forever. POCKET BACON! An iPhone app! You can fry virtual bacon, get bacon news and even find restauarants that serve bacon near you. I don't know what they're saying, but it certainly looks exciting! This actually gave me an idea. I have a friend who is a uber beer aficionado and I seem to recall him posting something about a beer that had a bacon flavor to it. Hmmmm. Might be time for a guest blogger.